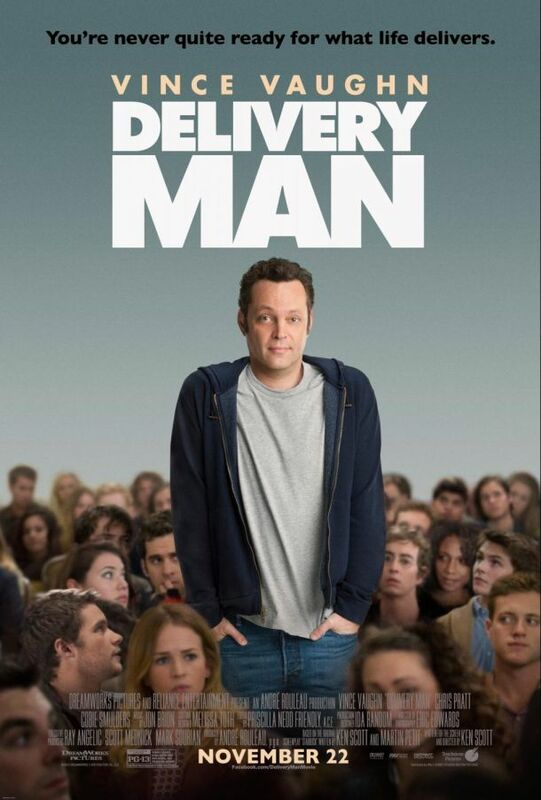 Vince Vaughn plays dodgeball and crashes weddings, so why is he going soft in “Delivery Man”? Is it because it might win a pass at the box office for being so cute and family friendly? Where’s your edge man? And more importantly where are the laughs? Vaughn plays an irresponsible man who finds out that his long-ago donations to a sperm bank have resulted in 533 children (!). Apparently they are now young adults who want to get to know their biological father. Writer director Ken Scott takes a padded 105 minutes to tell a thin story that buries its charm in cheesy moments. It’s far from being a bad movie. Some might even describe it as “cute”. But do you really want to see Vince Vaughn in a cute movie? Didn’t think so.